Pustak Ka Vivaran : Satguru Tulsi sahib, also known as Sahib Ji, is the youngest son of the ancient Brahmana king of Poona, whose eldest son was named Shyamrao. At the age of twelve, his father married him against his wishes, but even when he was a young man, he remained firmly in Brahmacharya and remained separate from his wife. Her woman whose name was Laxmibai tha……………. 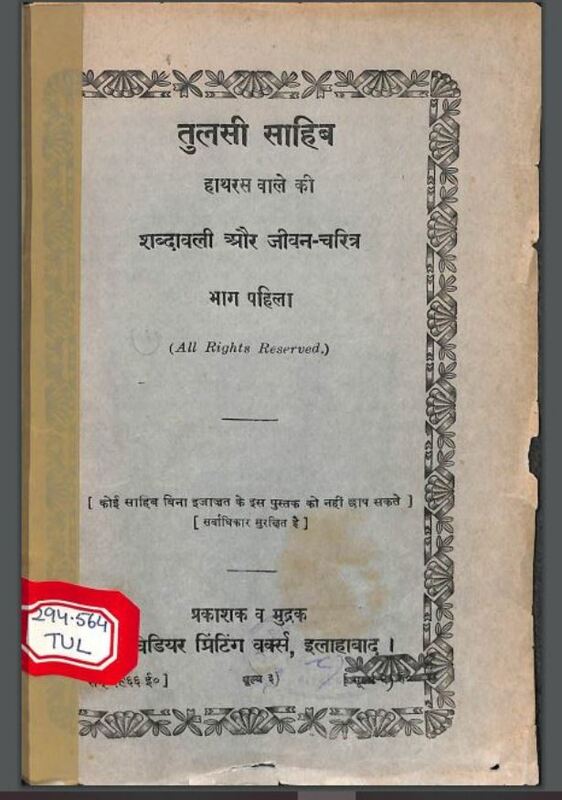 Description about eBook : Satguru Tulsi sahib, also known as Sahib Ji, is the youngest son of the ancient Brahmana king of Poona, whose eldest son was named Shyamrao. At the age of twelve, his father married him against his wishes, but even when he was a young man, he remained firmly in Brahmacharya and remained separate from his wife. Her woman whose name was Laxmibai…………….